Greetings from WF Shootout! Your #1 source for USSSA baseball in Wichita Falls, Decatur, Sherman, and Weatherford, TX! We hope your season is off to a good start so far. Centrally located between OKC, DFW, Lubbock, and Amarillo; we feel our location is perfect to host the best teams from Texas and Oklahoma. Our goals here in WF Shootout are simple ones: have fun, play ball, and enjoy your stay. With competitive entry fees, the help of local hotels, and the city of Wichita Falls; we vow to make your entire trip here a memorable one. From travel to lodging to baseball itself, we will provide top notch hospitality. Please feel free to contact us with any questions/suggestions that will make your teams trip as easy as possible. Thanks from all at WF Shootout Baseball. covered! For pins, silicone bracelets, dog chains, charms, dog tags, and much more; visit www.metropins.com or click the image below. Looking for hotels? Whether you and your team are traveling here, or traveling elsewhere, Hotelplanner.com can suit your needs. Its as simple as clicking the pic to the left to get started! Here at WF Shootout, we share some of the same ideas as the great Babe Ruth! Check out the video to the right! 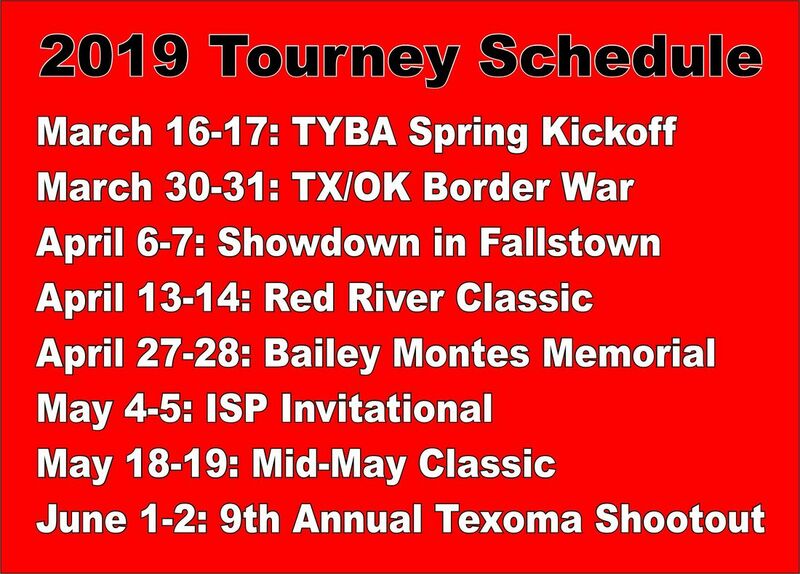 All Tournament hosted here are USSSA sanctioned tournaments. Tournament Directors will be on site at all times! visit www.usssa.com for more info.